Clean CARFAX. Certified. Nissan Certified Pre-Owned Details: * Warranty Deductible: $50 * Includes Car Rental and Trip Interruption Reimbursement * Vehicle History * Roadside Assistance * Limited Warranty: 84 Month/100,000 Mile (whichever comes first) from original in-service date * Transferable Warranty (between private parties) * 167 Point Inspection CVT with Xtronic, 16" x 7.0" Steel w/Full Covers Wheels, 4-Wheel Disc Brakes, 6 Speakers, ABS brakes, Air Conditioning, AM/FM radio, AM/FM/CD/MP3 Audio System, Brake assist, Bumpers: body-color, CD player, Cloth Seat Trim, Delay-off headlights, Driver door bin, Driver vanity mirror, Dual front impact airbags, Dual front side impact airbags, Electronic Stability Control, Four wheel independent suspension, Front anti-roll bar, Front Bucket Seats, Front Center Armrest w/Storage, Front reading lights, Low tire pressure warning, Occupant sensing airbag, Outside temperature display, Overhead airbag, Overhead console, Panic alarm, Passenger door bin, Passenger vanity mirror, Power door mirrors, Power steering, Power windows, Radio data system, Rear anti-roll bar, Rear reading lights, Rear seat center armrest, Rear window defroster, Remote keyless entry, Security system, Speed-sensing steering, Speed-Sensitive Wipers, Split folding rear seat, Steering wheel mounted audio controls, Tachometer, Telescoping steering wheel, Tilt steering wheel, Traction control, Trip computer, Variably intermittent wipers. Awards: * 2015 KBB.com 10 Best UberX Candidates * 2015 KBB.com 10 Best Sedans Under $25,000 Our Sales, Service and Parts Departments work closely together to provide you with the most enjoyable, least stressful car-buying experience possible. The average tenure for our sales people, managers, technicians, and all other employees is over 20 years. Most of them have been career employees of our Automotive Group - and with that much experience, you can be sure they'll provide you with the highest quality care for you and your vehicle. We are also proud to be a Better Business Bureau Accredited Business with an A+ rating. CARFAX One-Owner. Clean CARFAX. Certified. Nissan Certified Pre-Owned Details: * Transferable Warranty (between private parties) * Roadside Assistance * Limited Warranty: 84 Month/100,000 Mile (whichever comes first) from original in-service date * Includes Car Rental and Trip Interruption Reimbursement * Vehicle History * 167 Point Inspection * Warranty Deductible: $50 Priced below KBB Fair Purchase Price! 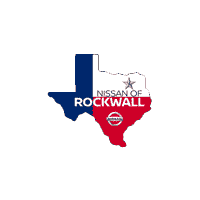 Nissan Certified Pre-Owned, 17" Aluminum Alloy Wheels, 4-Wheel Disc Brakes, 6 Speakers, ABS brakes, Air Conditioning, AM/FM radio, Anti-whiplash front head restraints, Axle Ratio: 5.694, Brake assist, Bumpers: body-color, CD player, Cloth Seat Trim, Driver door bin, Driver vanity mirror, Dual front impact airbags, Dual front side impact airbags, Electronic Stability Control, Front anti-roll bar, Front Bucket Seats, Front reading lights, Front wheel independent suspension, Illuminated entry, Low tire pressure warning, MP3 decoder, Occupant sensing airbag, Outside temperature display, Overhead airbag, Panic alarm, Passenger door bin, Passenger vanity mirror, Power door mirrors, Power steering, Power windows, Radio data system, Radio: AM/FM/CD/Aux-In Audio System, Rear anti-roll bar, Rear window defroster, Rear window wiper, Remote keyless entry, Security system, Speed control, Speed-sensing steering, Split folding rear seat, Steering wheel mounted audio controls, Tachometer, Tilt steering wheel, Traction control, Trip computer, Turn signal indicator mirrors, Variably intermittent wipers. Our Sales, Service and Parts Departments work closely together to provide you with the most enjoyable, least stressful car-buying experience possible. The average tenure for our sales people, managers, technicians, and all other employees is over 20 years. Most of them have been career employees of our Automotive Group - and with that much experience, you can be sure they'll provide you with the highest quality care for you and your vehicle. We are also proud to be a Better Business Bureau Accredited Business with an A+ rating. CARFAX One-Owner. Clean CARFAX. Certified. Nissan Certified Pre-Owned Details: * Roadside Assistance * Limited Warranty: 84 Month/100,000 Mile (whichever comes first) from original in-service date * Transferable Warranty (between private parties) * Vehicle History * Warranty Deductible: $50 * 167 Point Inspection * Includes Car Rental and Trip Interruption Reimbursement Priced below KBB Fair Purchase Price! Nissan Certified Pre-Owned, 4 Speakers, 4-Wheel Disc Brakes, ABS brakes, Air Conditioning, AM/FM radio: SiriusXM, Anti-whiplash front head restraints, Brake assist, Bumpers: body-color, CD player, Cloth Seat Trim, Driver door bin, Driver vanity mirror, Dual front impact airbags, Dual front side impact airbags, Electronic Stability Control, Four wheel independent suspension, Front anti-roll bar, Front Bucket Seats, Front Center Armrest w/Storage, Front reading lights, Illuminated entry, Low tire pressure warning, Occupant sensing airbag, Outside temperature display, Overhead airbag, Overhead console, Panic alarm, Passenger door bin, Passenger vanity mirror, Power door mirrors, Power steering, Power windows, Radio data system, Radio: AM/FM/CD/AUX, Rear anti-roll bar, Rear seat center armrest, Rear window defroster, Rear window wiper, Remote keyless entry, Security system, Speed control, Speed-sensing steering, Split folding rear seat, Spoiler, Steering wheel mounted audio controls, Tachometer, Telescoping steering wheel, Tilt steering wheel, Traction control, Trip computer, Variably intermittent wipers, Wheels: 17" Steel w/Full Covers. Awards: * 2017 KBB.com 10 Best SUVs Under $25,000 Our Sales, Service and Parts Departments work closely together to provide you with the most enjoyable, least stressful car-buying experience possible. The average tenure for our sales people, managers, technicians, and all other employees is over 20 years. Most of them have been career employees of our Automotive Group - and with that much experience, you can be sure they'll provide you with the highest quality care for you and your vehicle. We are also proud to be a Better Business Bureau Accredited Business with an A+ rating. CARFAX One-Owner. Clean CARFAX. Certified. Nissan Certified Pre-Owned Details: * Vehicle History * Limited Warranty: 84 Month/100,000 Mile (whichever comes first) from original in-service date * Includes Car Rental and Trip Interruption Reimbursement * Roadside Assistance * 167 Point Inspection * Transferable Warranty (between private parties) * Warranty Deductible: $50 Priced below KBB Fair Purchase Price! Nissan Certified Pre-Owned, 4 Speakers, 4-Wheel Disc Brakes, ABS brakes, Air Conditioning, AM/FM radio: SiriusXM, Anti-whiplash front head restraints, Brake assist, Bumpers: body-color, CD player, Cloth Seat Trim, Driver door bin, Driver vanity mirror, Dual front impact airbags, Dual front side impact airbags, Electronic Stability Control, Four wheel independent suspension, Front anti-roll bar, Front Bucket Seats, Front Center Armrest w/Storage, Front reading lights, Illuminated entry, Low tire pressure warning, Occupant sensing airbag, Outside temperature display, Overhead airbag, Overhead console, Panic alarm, Passenger door bin, Passenger vanity mirror, Power door mirrors, Power steering, Power windows, Radio data system, Radio: AM/FM/CD/AUX, Rear anti-roll bar, Rear seat center armrest, Rear window defroster, Remote keyless entry, Security system, Speed control, Speed-sensing steering, Split folding rear seat, Spoiler, Steering wheel mounted audio controls, Tachometer, Telescoping steering wheel, Tilt steering wheel, Traction control, Trip computer, Wheels: 17" Steel w/Full Covers. Awards: * 2017 KBB.com 10 Best SUVs Under $25,000 Our Sales, Service and Parts Departments work closely together to provide you with the most enjoyable, least stressful car-buying experience possible. The average tenure for our sales people, managers, technicians, and all other employees is over 20 years. Most of them have been career employees of our Automotive Group - and with that much experience, you can be sure they'll provide you with the highest quality care for you and your vehicle. We are also proud to be a Better Business Bureau Accredited Business with an A+ rating. CARFAX One-Owner. Clean CARFAX. Certified. Nissan Certified Pre-Owned Details: * Warranty Deductible: $50 * Transferable Warranty (between private parties) * 167 Point Inspection * Includes Car Rental and Trip Interruption Reimbursement * Vehicle History * Roadside Assistance * Limited Warranty: 84 Month/100,000 Mile (whichever comes first) from original in-service date Priced below KBB Fair Purchase Price! Nissan Certified Pre-Owned, 4 Speakers, 4-Wheel Disc Brakes, 5.694 Axle Ratio, ABS brakes, Air Conditioning, AM/FM radio: SiriusXM, Anti-whiplash front head restraints, Brake assist, Bumpers: body-color, CD player, Cloth Seat Trim, Driver door bin, Driver vanity mirror, Dual front impact airbags, Dual front side impact airbags, Electronic Stability Control, Four wheel independent suspension, Front anti-roll bar, Front Bucket Seats, Front Center Armrest w/Storage, Front reading lights, Illuminated entry, Low tire pressure warning, Occupant sensing airbag, Outside temperature display, Overhead airbag, Overhead console, Panic alarm, Passenger door bin, Passenger vanity mirror, Power door mirrors, Power steering, Power windows, Radio data system, Radio: AM/FM/CD/AUX, Rear anti-roll bar, Rear seat center armrest, Rear window defroster, Rear window wiper, Remote keyless entry, Security system, Speed control, Speed-sensing steering, Split folding rear seat, Spoiler, Steering wheel mounted audio controls, Tachometer, Telescoping steering wheel, Tilt steering wheel, Traction control, Trip computer, Variably intermittent wipers, Wheels: 17" Steel w/Full Covers. Awards: * 2017 KBB.com 10 Best SUVs Under $25,000 Our Sales, Service and Parts Departments work closely together to provide you with the most enjoyable, least stressful car-buying experience possible. The average tenure for our sales people, managers, technicians, and all other employees is over 20 years. Most of them have been career employees of our Automotive Group - and with that much experience, you can be sure they'll provide you with the highest quality care for you and your vehicle. We are also proud to be a Better Business Bureau Accredited Business with an A+ rating. CARFAX One-Owner. Clean CARFAX. Certified. Nissan Certified Pre-Owned Details: * Roadside Assistance * Vehicle History * Warranty Deductible: $50 * Transferable Warranty (between private parties) * Includes Car Rental and Trip Interruption Reimbursement * Limited Warranty: 84 Month/100,000 Mile (whichever comes first) from original in-service date * 167 Point Inspection Priced below KBB Fair Purchase Price! Nissan Certified Pre-Owned, 4 Speakers, 4-Wheel Disc Brakes, 5.694 Axle Ratio, ABS brakes, Air Conditioning, AM/FM radio: SiriusXM, Anti-whiplash front head restraints, Brake assist, Bumpers: body-color, CD player, Cloth Seat Trim, Driver door bin, Driver vanity mirror, Dual front impact airbags, Dual front side impact airbags, Electronic Stability Control, Four wheel independent suspension, Front anti-roll bar, Front Bucket Seats, Front Center Armrest w/Storage, Front reading lights, Illuminated entry, Low tire pressure warning, Occupant sensing airbag, Outside temperature display, Overhead airbag, Overhead console, Panic alarm, Passenger door bin, Passenger vanity mirror, Power door mirrors, Power steering, Power windows, Radio data system, Radio: AM/FM/CD/AUX, Rear anti-roll bar, Rear seat center armrest, Rear window defroster, Rear window wiper, Remote keyless entry, Security system, Speed control, Speed-sensing steering, Split folding rear seat, Spoiler, Steering wheel mounted audio controls, Tachometer, Telescoping steering wheel, Tilt steering wheel, Traction control, Trip computer, Variably intermittent wipers, Wheels: 17" Steel w/Full Covers. Awards: * 2017 KBB.com 10 Best SUVs Under $25,000 Our Sales, Service and Parts Departments work closely together to provide you with the most enjoyable, least stressful car-buying experience possible. The average tenure for our sales people, managers, technicians, and all other employees is over 20 years. Most of them have been career employees of our Automotive Group - and with that much experience, you can be sure they'll provide you with the highest quality care for you and your vehicle. We are also proud to be a Better Business Bureau Accredited Business with an A+ rating. CARFAX One-Owner. Clean CARFAX. Certified. Nissan Certified Pre-Owned Details: * Warranty Deductible: $50 * Limited Warranty: 84 Month/100,000 Mile (whichever comes first) from original in-service date * Includes Car Rental and Trip Interruption Reimbursement * Transferable Warranty (between private parties) * 167 Point Inspection * Roadside Assistance * Vehicle History Priced below KBB Fair Purchase Price! BACK UP CAMERA, BLUETOOTH/USB/HANDS FREE, Nissan Certified Pre-Owned, CVT with Xtronic, 4-Wheel Disc Brakes, 9 Speakers, ABS brakes, Air Conditioning, Alloy wheels, AM/FM radio: SiriusXM, Auto-dimming Rear-View mirror, Automatic temperature control, Blind spot sensor: warning, Brake assist, Bumpers: body-color, CD player, Compass, Delay-off headlights, Driver door bin, Driver vanity mirror, Dual front impact airbags, Dual front side impact airbags, Electronic Stability Control, Exterior Parking Camera Rear, Four wheel independent suspension, Front anti-roll bar, Front Bucket Seats, Front Center Armrest w/Storage, Front dual zone A/C, Front fog lights, Front reading lights, Fully automatic headlights, Garage door transmitter: HomeLink, Heated door mirrors, Heated Front Bucket Seats, Heated front seats, Heated steering wheel, Illuminated entry, Leather Appointed Seat Trim, Low tire pressure warning, Occupant sensing airbag, Outside temperature display, Overhead airbag, Overhead console, Panic alarm, Passenger door bin, Passenger vanity mirror, Power door mirrors, Power driver seat, Power passenger seat, Power steering, Power windows, Radio data system, Radio: Bose AM/FM/CD/MP3 Audio System w/SiriusXM, Rear anti-roll bar, Rear reading lights, Rear seat center armrest, Rear window defroster, Remote keyless entry, Security system, Speed control, Speed-sensing steering, Speed-Sensitive Wipers, Split folding rear seat, Steering wheel mounted audio controls, Tachometer, Telescoping steering wheel, Tilt steering wheel, Traction control, Trip computer, Turn signal indicator mirrors, Variably intermittent wipers. Our Sales, Service and Parts Departments work closely together to provide you with the most enjoyable, least stressful car-buying experience possible. The average tenure for our sales people, managers, technicians, and all other employees is over 20 years. Most of them have been career employees of our Automotive Group - and with that much experience, you can be sure they'll provide you with the highest quality care for you and your vehicle. We are also proud to be a Better Business Bureau Accredited Business with an A+ rating. CARFAX One-Owner. Clean CARFAX. Certified. Nissan Certified Pre-Owned Details: * Vehicle History * Limited Warranty: 84 Month/100,000 Mile (whichever comes first) from original in-service date * Transferable Warranty (between private parties) * Roadside Assistance * 167 Point Inspection * Includes Car Rental and Trip Interruption Reimbursement * Warranty Deductible: $50 Priced below KBB Fair Purchase Price! Nissan Certified Pre-Owned, CVT with Xtronic, 4-Wheel Disc Brakes, 9 Speakers, ABS brakes, Air Conditioning, Alloy wheels, AM/FM radio: SiriusXM, Auto-dimming Rear-View mirror, Automatic temperature control, Blind spot sensor: warning, Brake assist, Bumpers: body-color, CD player, Compass, Delay-off headlights, Driver door bin, Driver vanity mirror, Dual front impact airbags, Dual front side impact airbags, Electronic Stability Control, Four wheel independent suspension, Front anti-roll bar, Front Bucket Seats, Front Center Armrest w/Storage, Front dual zone A/C, Front fog lights, Front reading lights, Fully automatic headlights, Garage door transmitter: HomeLink, Heated door mirrors, Heated Front Bucket Seats, Heated front seats, Heated steering wheel, Illuminated entry, Leather Appointed Seat Trim, Low tire pressure warning, Occupant sensing airbag, Outside temperature display, Overhead airbag, Overhead console, Panic alarm, Passenger door bin, Passenger vanity mirror, Power door mirrors, Power driver seat, Power passenger seat, Power steering, Power windows, Radio data system, Radio: Bose AM/FM/CD/MP3 Audio System w/SiriusXM, Rear anti-roll bar, Rear reading lights, Rear seat center armrest, Rear window defroster, Remote keyless entry, Security system, Speed control, Speed-sensing steering, Speed-Sensitive Wipers, Split folding rear seat, Steering wheel mounted audio controls, Tachometer, Telescoping steering wheel, Tilt steering wheel, Traction control, Trip computer, Turn signal indicator mirrors, Variably intermittent wipers. Our Sales, Service and Parts Departments work closely together to provide you with the most enjoyable, least stressful car-buying experience possible. The average tenure for our sales people, managers, technicians, and all other employees is over 20 years. Most of them have been career employees of our Automotive Group - and with that much experience, you can be sure they'll provide you with the highest quality care for you and your vehicle. We are also proud to be a Better Business Bureau Accredited Business with an A+ rating. CARFAX One-Owner. Clean CARFAX. Certified. Nissan Certified Pre-Owned Details: * Transferable Warranty (between private parties) * Warranty Deductible: $50 * Roadside Assistance * Includes Car Rental and Trip Interruption Reimbursement * 167 Point Inspection * Vehicle History * Limited Warranty: 84 Month/100,000 Mile (whichever comes first) from original in-service date Priced below KBB Fair Purchase Price! Nissan Certified Pre-Owned, 4 Speakers, 4-Wheel Disc Brakes, ABS brakes, Air Conditioning, AM/FM radio: SiriusXM, Anti-whiplash front head restraints, Blind spot sensor: Blind Spot Warning (BSW) warning, Brake assist, Bumpers: body-color, CD player, Cloth Seat Trim, Driver door bin, Driver vanity mirror, Dual front impact airbags, Dual front side impact airbags, Electronic Stability Control, Four wheel independent suspension, Front anti-roll bar, Front Bucket Seats, Front Center Armrest w/Storage, Front reading lights, Illuminated entry, Low tire pressure warning, Occupant sensing airbag, Outside temperature display, Overhead airbag, Overhead console, Panic alarm, Passenger door bin, Passenger vanity mirror, Power door mirrors, Power steering, Power windows, Radio data system, Radio: AM/FM/CD/AUX, Rear anti-roll bar, Rear seat center armrest, Rear window defroster, Rear window wiper, Remote keyless entry, Security system, Speed control, Speed-sensing steering, Split folding rear seat, Spoiler, Steering wheel mounted audio controls, Tachometer, Telescoping steering wheel, Tilt steering wheel, Traction control, Trip computer, Variably intermittent wipers, Wheels: 17" Steel w/Full Covers. Awards: * 2017 KBB.com 10 Best SUVs Under $25,000 Our Sales, Service and Parts Departments work closely together to provide you with the most enjoyable, least stressful car-buying experience possible. The average tenure for our sales people, managers, technicians, and all other employees is over 20 years. Most of them have been career employees of our Automotive Group - and with that much experience, you can be sure they'll provide you with the highest quality care for you and your vehicle. We are also proud to be a Better Business Bureau Accredited Business with an A+ rating. CARFAX One-Owner. Clean CARFAX. Certified. Nissan Certified Pre-Owned Details: * Limited Warranty: 84 Month/100,000 Mile (whichever comes first) from original in-service date * Roadside Assistance * Vehicle History * Transferable Warranty (between private parties) * Includes Car Rental and Trip Interruption Reimbursement * 167 Point Inspection * Warranty Deductible: $50 Priced below KBB Fair Purchase Price! BLUETOOTH/USB/HANDS FREE, NON-SMOKER, NEVER A RENTAL, NISSAN DEALER MAINTAINED, Nissan Certified Pre-Owned, AWD, 4 Speakers, 4-Wheel Disc Brakes, 5.694 Axle Ratio, ABS brakes, Air Conditioning, AM/FM radio, Anti-whiplash front head restraints, Brake assist, Bumpers: body-color, CD player, Cloth Seat Trim, Driver door bin, Driver vanity mirror, Dual front impact airbags, Dual front side impact airbags, Electronic Stability Control, Exterior Parking Camera Rear, Four wheel independent suspension, Front anti-roll bar, Front Bucket Seats, Front Center Armrest w/Storage, Front reading lights, Illuminated entry, Low tire pressure warning, MP3 decoder, Occupant sensing airbag, Outside temperature display, Overhead airbag, Overhead console, Panic alarm, Passenger door bin, Passenger vanity mirror, Power door mirrors, Power steering, Power windows, Radio data system, Radio: AM/FM/CD/RDS/AUX NissanConnect, Rear anti-roll bar, Rear window defroster, Rear window wiper, Remote keyless entry, Security system, Speed control, Speed-sensing steering, Split folding rear seat, Spoiler, Steering wheel mounted audio controls, Tachometer, Telescoping steering wheel, Tilt steering wheel, Traction control, Trip computer, Turn signal indicator mirrors, Variably intermittent wipers, Wheels: 17" Steel w/Full Covers. Our Sales, Service and Parts Departments work closely together to provide you with the most enjoyable, least stressful car-buying experience possible. The average tenure for our sales people, managers, technicians, and all other employees is over 20 years. Most of them have been career employees of our Automotive Group - and with that much experience, you can be sure they'll provide you with the highest quality care for you and your vehicle. We are also proud to be a Better Business Bureau Accredited Business with an A+ rating. CARFAX One-Owner. Clean CARFAX. Certified. Nissan Certified Pre-Owned Details: * Transferable Warranty (between private parties) * Limited Warranty: 84 Month/100,000 Mile (whichever comes first) from original in-service date * Vehicle History * Warranty Deductible: $50 * 167 Point Inspection * Includes Car Rental and Trip Interruption Reimbursement * Roadside Assistance Priced below KBB Fair Purchase Price! Nissan Certified Pre-Owned, CVT with Xtronic, 16" x 7.0" Steel w/Full Covers Wheels, 4-Wheel Disc Brakes, 6 Speakers, ABS brakes, Air Conditioning, AM/FM radio, AM/FM/CD/MP3 Audio System, Brake assist, Bumpers: body-color, CD player, Cloth Seat Trim, Delay-off headlights, Driver door bin, Driver vanity mirror, Dual front impact airbags, Dual front side impact airbags, Electronic Stability Control, Four wheel independent suspension, Front anti-roll bar, Front Bucket Seats, Front Center Armrest w/Storage, Front reading lights, Fully automatic headlights, Illuminated entry, Low tire pressure warning, Occupant sensing airbag, Outside temperature display, Overhead airbag, Overhead console, Panic alarm, Passenger door bin, Passenger vanity mirror, Power door mirrors, Power steering, Power windows, Radio data system, Rear anti-roll bar, Rear reading lights, Rear seat center armrest, Rear window defroster, Remote keyless entry, Security system, Speed control, Speed-sensing steering, Split folding rear seat, Steering wheel mounted audio controls, Tachometer, Telescoping steering wheel, Tilt steering wheel, Traction control, Trip computer, Variably intermittent wipers. Our Sales, Service and Parts Departments work closely together to provide you with the most enjoyable, least stressful car-buying experience possible. The average tenure for our sales people, managers, technicians, and all other employees is over 20 years. Most of them have been career employees of our Automotive Group - and with that much experience, you can be sure they'll provide you with the highest quality care for you and your vehicle. We are also proud to be a Better Business Bureau Accredited Business with an A+ rating. CARFAX One-Owner. Clean CARFAX. Certified. Nissan Certified Pre-Owned Details: * Includes Car Rental and Trip Interruption Reimbursement * Limited Warranty: 84 Month/100,000 Mile (whichever comes first) from original in-service date * Transferable Warranty (between private parties) * Vehicle History * 167 Point Inspection * Warranty Deductible: $50 * Roadside Assistance Priced below KBB Fair Purchase Price! Nissan Certified Pre-Owned, CVT with Xtronic, 16" x 7.0" Steel w/Full Covers Wheels, 4-Wheel Disc Brakes, 6 Speakers, ABS brakes, Air Conditioning, AM/FM radio, AM/FM/CD/MP3 Audio System, Brake assist, Bumpers: body-color, CD player, Cloth Seat Trim, Delay-off headlights, Driver door bin, Driver vanity mirror, Dual front impact airbags, Dual front side impact airbags, Electronic Stability Control, Four wheel independent suspension, Front anti-roll bar, Front Bucket Seats, Front Center Armrest w/Storage, Front reading lights, Fully automatic headlights, Illuminated entry, Low tire pressure warning, Occupant sensing airbag, Outside temperature display, Overhead airbag, Overhead console, Panic alarm, Passenger door bin, Passenger vanity mirror, Power door mirrors, Power steering, Power windows, Radio data system, Rear anti-roll bar, Rear reading lights, Rear seat center armrest, Rear window defroster, Remote keyless entry, Security system, Speed control, Speed-sensing steering, Split folding rear seat, Steering wheel mounted audio controls, Tachometer, Telescoping steering wheel, Tilt steering wheel, Traction control, Trip computer, Variably intermittent wipers. Our Sales, Service and Parts Departments work closely together to provide you with the most enjoyable, least stressful car-buying experience possible. The average tenure for our sales people, managers, technicians, and all other employees is over 20 years. Most of them have been career employees of our Automotive Group - and with that much experience, you can be sure they'll provide you with the highest quality care for you and your vehicle. We are also proud to be a Better Business Bureau Accredited Business with an A+ rating. CARFAX One-Owner. Clean CARFAX. Certified. Nissan Certified Pre-Owned Details: * Roadside Assistance * 167 Point Inspection * Warranty Deductible: $50 * Vehicle History * Includes Car Rental and Trip Interruption Reimbursement * Limited Warranty: 84 Month/100,000 Mile (whichever comes first) from original in-service date * Transferable Warranty (between private parties) Priced below KBB Fair Purchase Price! Nissan Certified Pre-Owned, CVT with Xtronic, charcoal Cloth, 4-Wheel Disc Brakes, 6 Speakers, ABS brakes, AM/FM radio: SiriusXM, AM/FM/CD Audio System, Brake assist, Bumpers: body-color, CD player, Delay-off headlights, Distance-Pacing Cruise Control, Driver door bin, Driver vanity mirror, Dual front impact airbags, Dual front side impact airbags, Electronic Stability Control, Exterior Parking Camera Rear, Front anti-roll bar, Front Bucket Seats, Front Center Armrest, Front dual zone A/C, Front fog lights, Front reading lights, Front wheel independent suspension, Fully automatic headlights, Heated door mirrors, Heated Front Bucket Seats, Heated front seats, Illuminated entry, Leather Shift Knob, Low tire pressure warning, Occupant sensing airbag, Overhead airbag, Panic alarm, Passenger door bin, Passenger vanity mirror, Power door mirrors, Power steering, Power windows, Premium Sport Cloth Seat Trim, Radio data system, Rear anti-roll bar, Rear seat center armrest, Rear window defroster, Remote keyless entry, Security system, Speed control, Speed-sensing steering, Split folding rear seat, Spoiler, Steering wheel mounted audio controls, Tachometer, Telescoping steering wheel, Tilt steering wheel, Traction control, Trip computer, Turn signal indicator mirrors, Variably intermittent wipers, Wheels: 17" x 6.5" 10-Spoke Aluminum-Alloy. Our Sales, Service and Parts Departments work closely together to provide you with the most enjoyable, least stressful car-buying experience possible. The average tenure for our sales people, managers, technicians, and all other employees is over 20 years. Most of them have been career employees of our Automotive Group - and with that much experience, you can be sure they'll provide you with the highest quality care for you and your vehicle. We are also proud to be a Better Business Bureau Accredited Business with an A+ rating. CARFAX One-Owner. Clean CARFAX. Certified. Nissan Certified Pre-Owned Details: * Roadside Assistance * Includes Car Rental and Trip Interruption Reimbursement * Transferable Warranty (between private parties) * Warranty Deductible: $50 * 167 Point Inspection * Limited Warranty: 84 Month/100,000 Mile (whichever comes first) from original in-service date * Vehicle History Priced below KBB Fair Purchase Price! Nissan Certified Pre-Owned, CVT with Xtronic, 16" x 7.0" Steel w/Full Covers Wheels, 4-Wheel Disc Brakes, 6 Speakers, ABS brakes, Air Conditioning, AM/FM radio, AM/FM/CD/MP3 Audio System, Brake assist, Bumpers: body-color, CD player, Cloth Seat Trim, Delay-off headlights, Driver door bin, Driver vanity mirror, Dual front impact airbags, Dual front side impact airbags, Electronic Stability Control, Four wheel independent suspension, Front anti-roll bar, Front Bucket Seats, Front Center Armrest w/Storage, Front reading lights, Fully automatic headlights, Illuminated entry, Low tire pressure warning, Occupant sensing airbag, Outside temperature display, Overhead airbag, Overhead console, Panic alarm, Passenger door bin, Passenger vanity mirror, Power door mirrors, Power steering, Power windows, Radio data system, Rear anti-roll bar, Rear reading lights, Rear seat center armrest, Rear window defroster, Remote keyless entry, Security system, Speed control, Speed-sensing steering, Split folding rear seat, Steering wheel mounted audio controls, Tachometer, Telescoping steering wheel, Tilt steering wheel, Traction control, Trip computer, Variably intermittent wipers. Our Sales, Service and Parts Departments work closely together to provide you with the most enjoyable, least stressful car-buying experience possible. The average tenure for our sales people, managers, technicians, and all other employees is over 20 years. Most of them have been career employees of our Automotive Group - and with that much experience, you can be sure they'll provide you with the highest quality care for you and your vehicle. We are also proud to be a Better Business Bureau Accredited Business with an A+ rating. CARFAX One-Owner. Clean CARFAX. Certified. Nissan Certified Pre-Owned Details: * 167 Point Inspection * Transferable Warranty (between private parties) * Roadside Assistance * Vehicle History * Includes Car Rental and Trip Interruption Reimbursement * Limited Warranty: 84 Month/100,000 Mile (whichever comes first) from original in-service date * Warranty Deductible: $50 Priced below KBB Fair Purchase Price! Nissan Certified Pre-Owned, charcoal Cloth, 4-Wheel Disc Brakes, 6 Speakers, ABS brakes, Air Conditioning, AM/FM radio: SiriusXM, AM/FM/CD Audio System, Brake assist, Bumpers: body-color, CD player, Delay-off headlights, Driver door bin, Driver vanity mirror, Dual front impact airbags, Dual front side impact airbags, Electronic Stability Control, Exterior Parking Camera Rear, Front anti-roll bar, Front Bucket Seats, Front Center Armrest, Front fog lights, Front reading lights, Front wheel independent suspension, Fully automatic headlights, Heated door mirrors, Heated Front Bucket Seats, Heated front seats, Illuminated entry, Leather Shift Knob, Low tire pressure warning, Occupant sensing airbag, Outside temperature display, Overhead airbag, Overhead console, Panic alarm, Passenger door bin, Passenger vanity mirror, Power door mirrors, Power moonroof, Power steering, Power windows, Premium Sport Cloth Seat Trim, Radio data system, Rear anti-roll bar, Rear seat center armrest, Rear window defroster, Remote keyless entry, Security system, Speed control, Speed-sensing steering, Split folding rear seat, Spoiler, Steering wheel mounted audio controls, Tachometer, Telescoping steering wheel, Tilt steering wheel, Traction control, Trip computer, Turn signal indicator mirrors, Variably intermittent wipers, Wheels: 17" x 6.5" 10-Spoke Aluminum-Alloy. Our Sales, Service and Parts Departments work closely together to provide you with the most enjoyable, least stressful car-buying experience possible. The average tenure for our sales people, managers, technicians, and all other employees is over 20 years. Most of them have been career employees of our Automotive Group - and with that much experience, you can be sure they'll provide you with the highest quality care for you and your vehicle. We are also proud to be a Better Business Bureau Accredited Business with an A+ rating. CARFAX One-Owner. Clean CARFAX. Certified. Nissan Certified Pre-Owned Details: * Vehicle History * Warranty Deductible: $50 * Transferable Warranty (between private parties) * Includes Car Rental and Trip Interruption Reimbursement * Limited Warranty: 84 Month/100,000 Mile (whichever comes first) from original in-service date * 167 Point Inspection * Roadside Assistance Priced below KBB Fair Purchase Price! Nissan Certified Pre-Owned, CVT with Xtronic, 16" x 7.0" Steel w/Full Covers Wheels, 4-Wheel Disc Brakes, 6 Speakers, ABS brakes, Air Conditioning, AM/FM radio, AM/FM/CD/MP3 Audio System, Brake assist, Bumpers: body-color, CD player, Cloth Seat Trim, Delay-off headlights, Driver door bin, Driver vanity mirror, Dual front impact airbags, Dual front side impact airbags, Electronic Stability Control, Four wheel independent suspension, Front anti-roll bar, Front Bucket Seats, Front Center Armrest w/Storage, Front reading lights, Fully automatic headlights, Illuminated entry, Low tire pressure warning, Occupant sensing airbag, Outside temperature display, Overhead airbag, Overhead console, Panic alarm, Passenger door bin, Passenger vanity mirror, Power door mirrors, Power steering, Power windows, Radio data system, Rear anti-roll bar, Rear reading lights, Rear seat center armrest, Rear window defroster, Remote keyless entry, Security system, Speed control, Speed-sensing steering, Split folding rear seat, Steering wheel mounted audio controls, Tachometer, Telescoping steering wheel, Tilt steering wheel, Traction control, Trip computer, Variably intermittent wipers. Our Sales, Service and Parts Departments work closely together to provide you with the most enjoyable, least stressful car-buying experience possible. The average tenure for our sales people, managers, technicians, and all other employees is over 20 years. Most of them have been career employees of our Automotive Group - and with that much experience, you can be sure they'll provide you with the highest quality care for you and your vehicle. We are also proud to be a Better Business Bureau Accredited Business with an A+ rating. CARFAX One-Owner. Clean CARFAX. Certified. Nissan Certified Pre-Owned Details: * Warranty Deductible: $50 * Includes Car Rental and Trip Interruption Reimbursement * Vehicle History * Limited Warranty: 84 Month/100,000 Mile (whichever comes first) from original in-service date * Transferable Warranty (between private parties) * 167 Point Inspection * Roadside Assistance Nissan Certified Pre-Owned. Our Sales, Service and Parts Departments work closely together to provide you with the most enjoyable, least stressful car-buying experience possible. The average tenure for our sales people, managers, technicians, and all other employees is over 20 years. Most of them have been career employees of our Automotive Group - and with that much experience, you can be sure they'll provide you with the highest quality care for you and your vehicle. We are also proud to be a Better Business Bureau Accredited Business with an A+ rating. CARFAX One-Owner. Clean CARFAX. Certified. Nissan Certified Pre-Owned Details: * Includes Car Rental and Trip Interruption Reimbursement * Warranty Deductible: $50 * Roadside Assistance * Vehicle History * 167 Point Inspection * Limited Warranty: 84 Month/100,000 Mile (whichever comes first) from original in-service date * Transferable Warranty (between private parties) BLUETOOTH/USB/HANDS FREE, Nissan Certified Pre-Owned. Our Sales, Service and Parts Departments work closely together to provide you with the most enjoyable, least stressful car-buying experience possible. The average tenure for our sales people, managers, technicians, and all other employees is over 20 years. Most of them have been career employees of our Automotive Group - and with that much experience, you can be sure they'll provide you with the highest quality care for you and your vehicle. We are also proud to be a Better Business Bureau Accredited Business with an A+ rating.